The Educational Presentation provided by the Embassy of Japan in the Netherlands is an introduction to Japan and aspects of its culture. This presentation can be adapted to any situation and occasion. We can create presentations for elementary schools with a Japan theme-day, where we can give basic information on Japan and its culture as well as give children an opportunity to try on Japanese clothes, play with Japanese toys or even learn a few words in Japanese. For highschools with a Japan project or university students planning a study trip to Japan we can provide a more informative presentation, adapted to the wishes of each applicant. 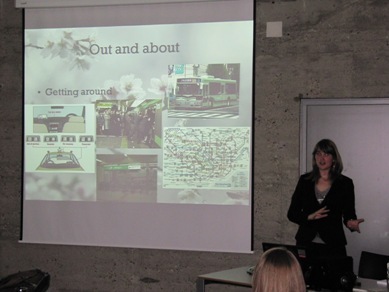 We can even create presentations for companies interested in trade or business with Japan or planning a business trip. The presentation is free of charge, is offered on weekdays (Monday – Friday) and is held at your organisation. If you would like to organise an Educational Presentation, please fill in the application form.